A Wiccan goddess can get in shape by doing some gardening and planting outdoors. Whether the goal is to great an outdoor retreat, landscape your home, create edible herbs, build a water feature, or plant plants with magical properties, gardening work will help you both physically and spiritually. 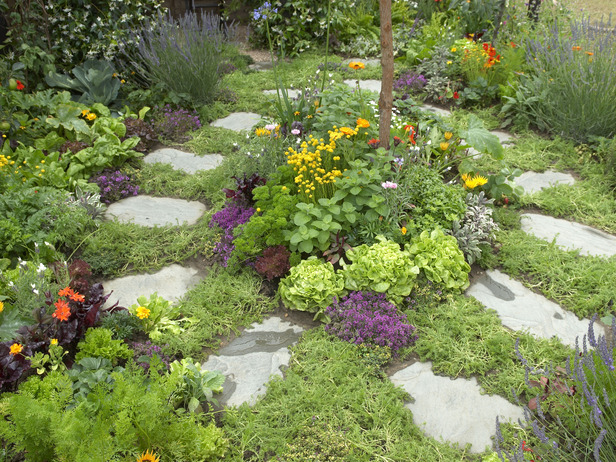 Trying your hand at creating a Wiccan herb garden may be a best-kept get in shape secret of Pagan witches. Witches love nature and adore being able to eat veggies they have grown themselves or creating special magical smudges with their own pure garden herbs. Not only is gardening a boost for body and soul, it can be a great physical workout. Tending to the plants utilizes elements of exercise including endurance, flexibility and strength. While you are saving money growing Wiccan supply herbs on your own, you are also conditioning your body and getting a range of physical motion for the entire time you tend to the garden. Raking, digging, planting, cleaning and tending to your garden will not only make your garden thrive it will heal you body from a sedentary lifestyle. Remember to alternate gardening tasks for the 30 to 60 minutes of gardening you do. For example, rake the garden for a while, then dig holes to plant new herbs, then prune the existing shrubs to keep them nice. The simple act of weeding the garden is a great form of exercise. When you walk into your very own fragrant garden or greenhouse it can change your whole mental outlook for the day. Focus on the magical and cleansing properties of your plants. Time spent being one with nature and as an integral part of the natural world heals your soul and spirit. Create a wonderful place to cast outdoor spells, and gather indoor spell ingredients. Studies have shown a link between spending time relaxing outdoors and happiness. Let your inner feminine beauty shine through by creating your own fragrant Wiccan garden and tending to the natural plants and herbs.